Thanks for all those who came to the show tonight. It was awesome to see you all there. Hope we put on a good show. 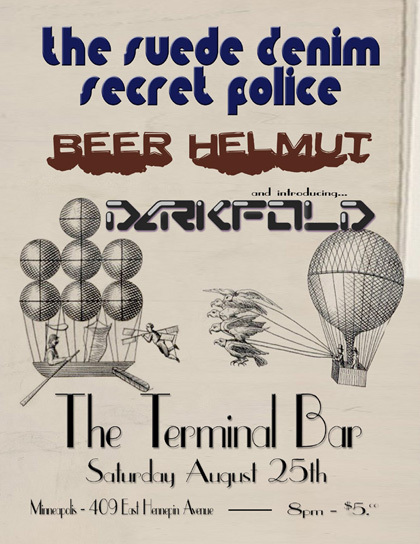 For those of you who missed our inaugural gig, we’ve got another one coming up on Saturday the 25th! It’s a the Terminal Bar at 9:00 pm. I believe cover is $5. We’d love to see you there. We’re Darkfold. We rock your face.